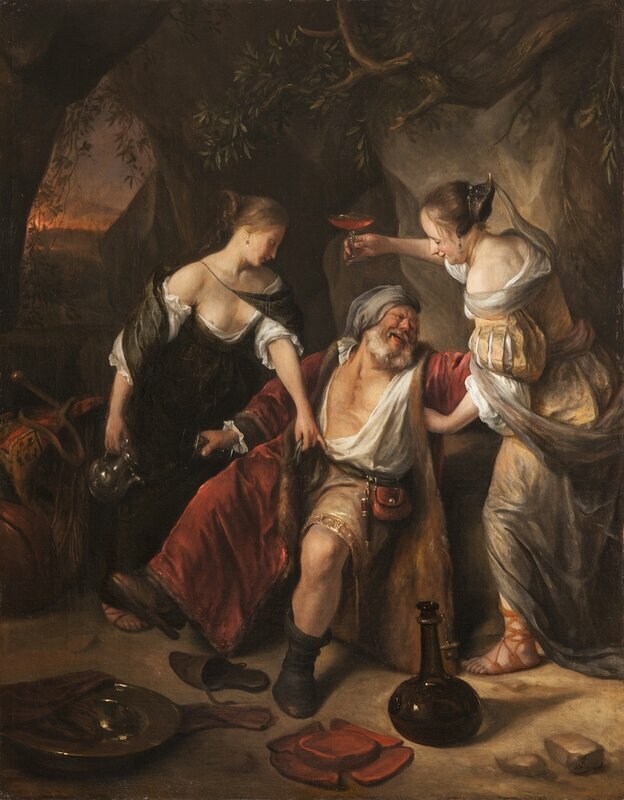 Jan Steen, Moses and Pharaoh’s Crown, c.1670. Canvas, 78 x 79 cm, Mauritshuis, The Hague (acquired with the support of the BankGiro Lottery). THE HAGUE - In the exhibition Jan Steen’s Histories, the Mauritshuis will exhibit a selection of Jan Steen’s finest history paintings. This seventeenth-century Dutch artist is best known as a painter of chaotic and disorderly scenes of everyday life, which gave rise to the popular Dutch proverb ‘a Jan Steen household’. But he also painted very different subjects: stories from the Bible, classical mythology and antiquity. From 15 February until 13 May 2018, the Mauritshuis will show – by means of twenty-one paintings – that Steen was a versatile and ambitious artist with a keen eye for amusing stories and anecdotes. 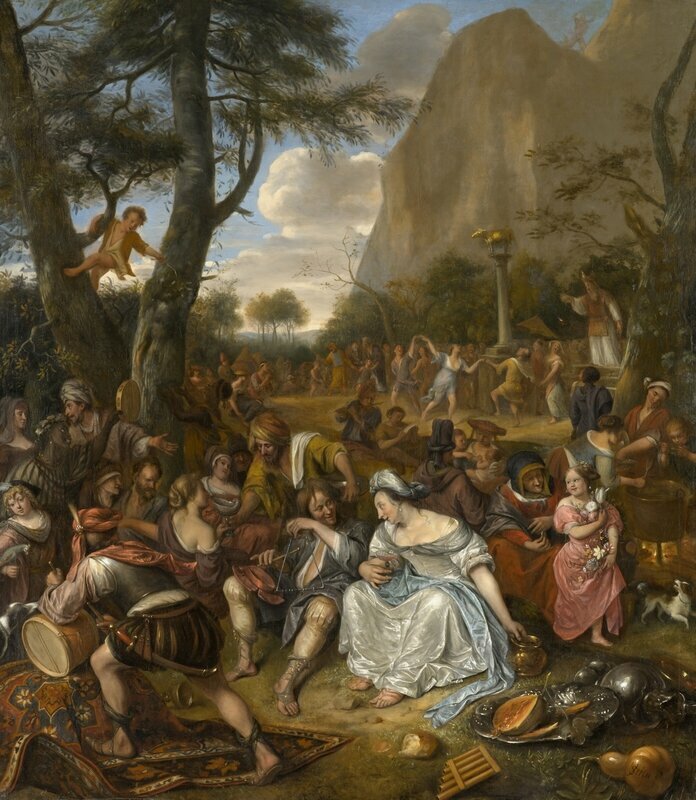 Steen depicted a broad range of subjects taken from the Bible, apocryphal writings and classical mythology, which he depicted in a highly original way. Stories taken from these sources were known as ‘histories’ in Steen’s day. Some seventy-five history paintings by Steen survive today, representing around a sixth of his oeuvre. They are tales full of torment, treachery and temptation, all expressed by Jan Steen in his own playful way. 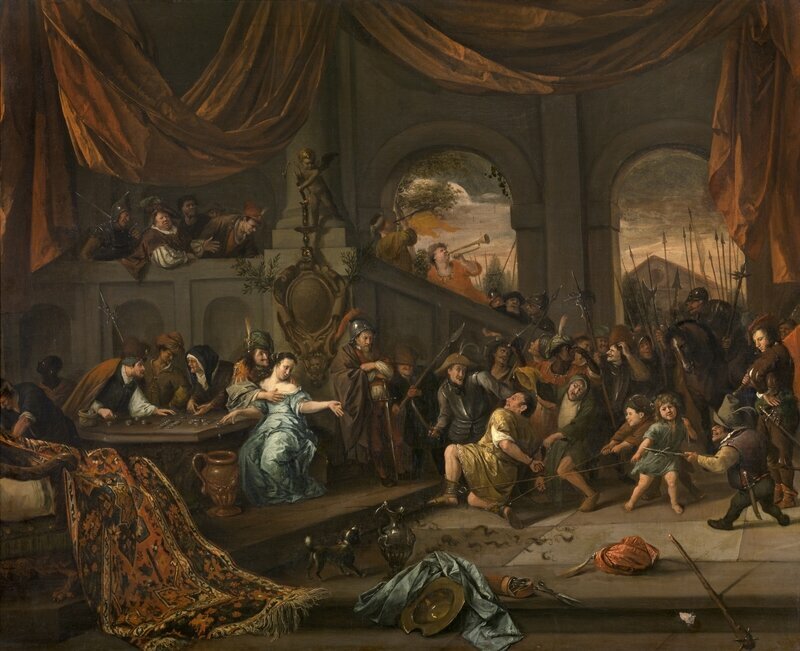 In his history paintings – just as in his genre pieces – Steen pays particular attention to the interaction between the figures and pokes fun through the behaviour of his main characters. Jan Steen, Lot and his Daughters, c.1665-1667. Canvas, 86 x 69 cm, Städtische Wessenberg-Galerie, Konstanz. The Mauritshuis often works on Jan Steen, who is considered one of the leading painters of the Dutch Golden Age (alongside Rembrandt, Vermeer and Hals). 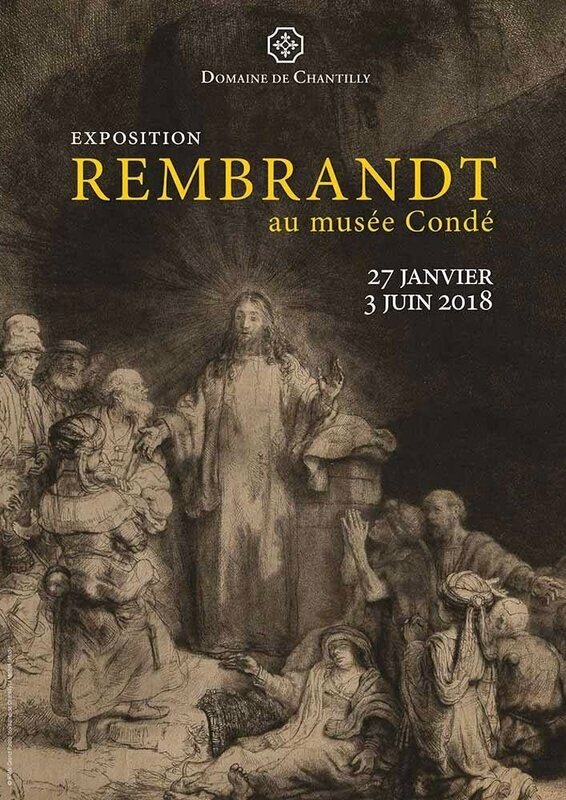 The museum owns fifteen of his paintings. 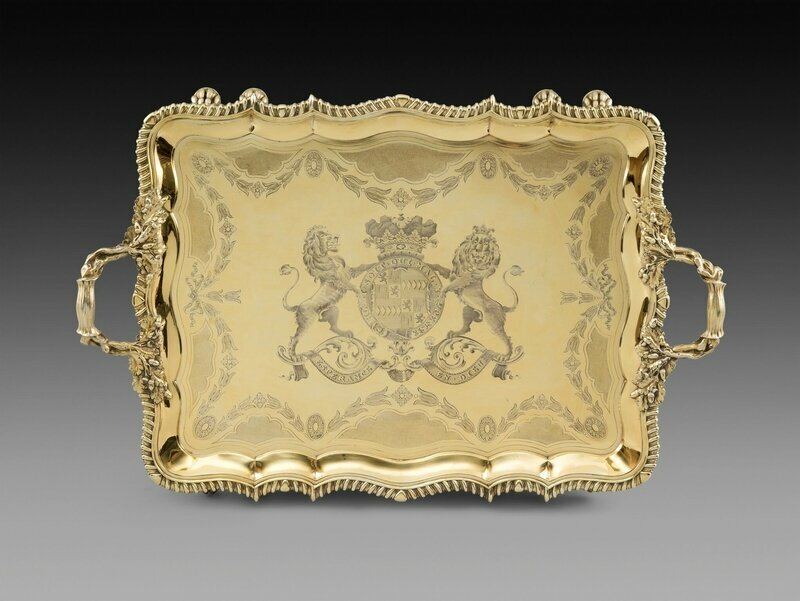 In 2011 the museum expanded its sizeable collection of Steens with its first history painting: Moses and Pharaoh’s Crown. 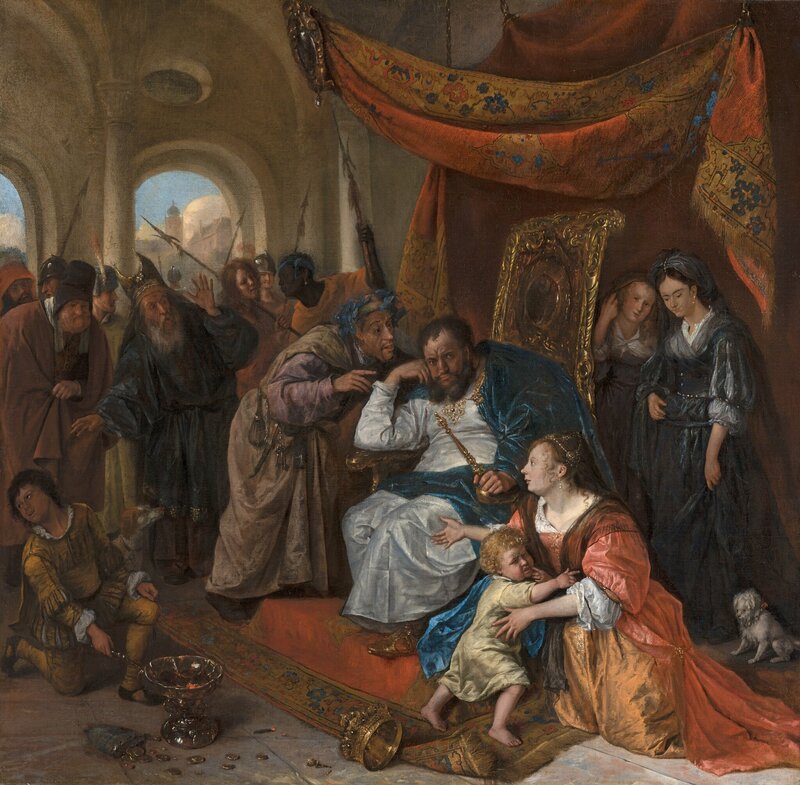 The fact that there been no a history piece in the collection before this time demonstrates that this part of Steen’s oeuvre had been undervalued for many years. This acquisition now provides the impetus for this exhibition that will shine a light on Jan Steen’s versatility as an artist. Jan Steen, The Worship of the Golden Calf, c.1674-1677. Canvas, 178.4 x 155.6 cm, North Carolina Museum of Art, Raleigh, purchased with funds from the State of North Carolina. 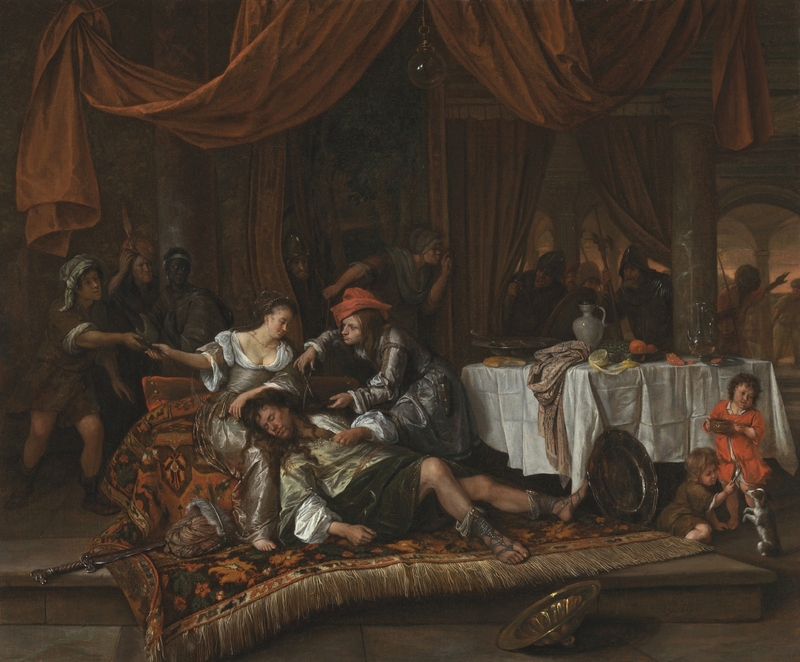 Jan Steen, Samson and Delilah, 1668. Canvas, 67.5 x 82 cm, Los Angeles County Museum of Art, Gift of the Ahmanson Foundation. Jan Steen, The Mocking of Samson, c.1675-1676. Canvas, 65 x 82 cm, Royal Museum of Fine Arts Antwerp (KMSKA), Antwerp.